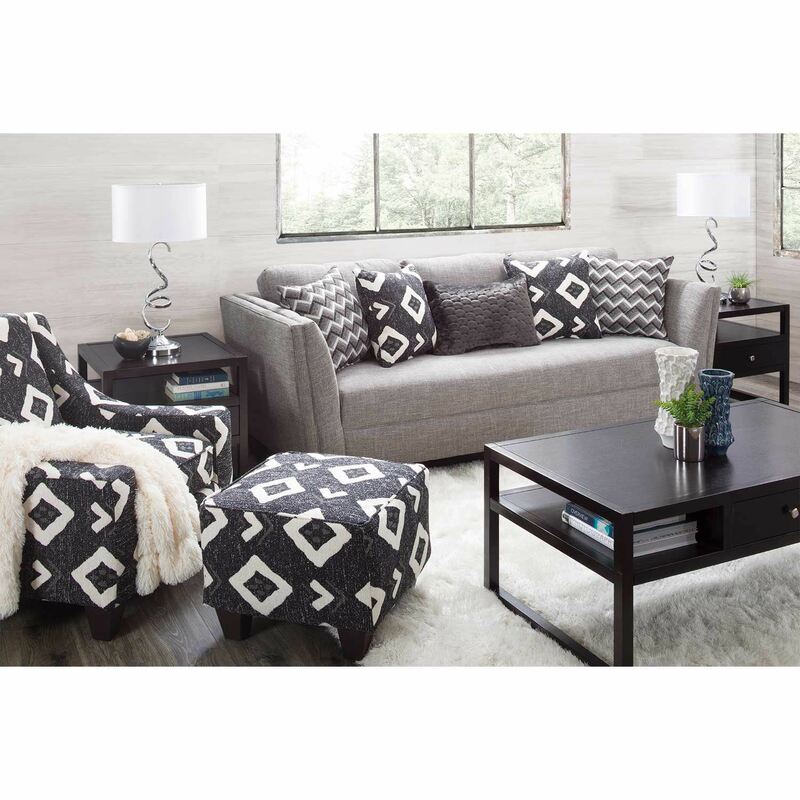 Enjoy laid-back luxe style with the Amelia Sofa by Corinthian Fine Furniture. 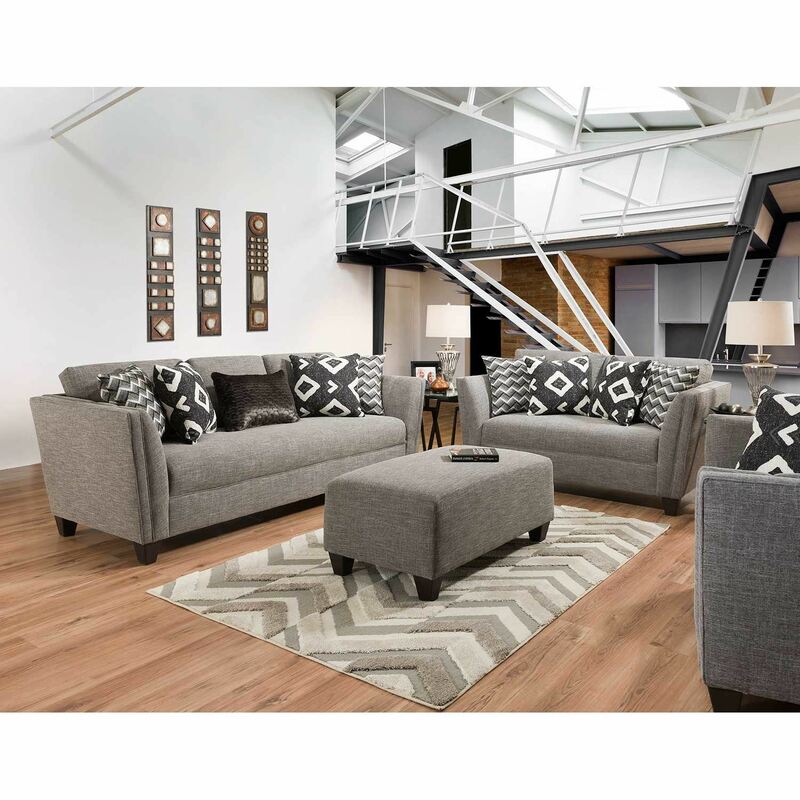 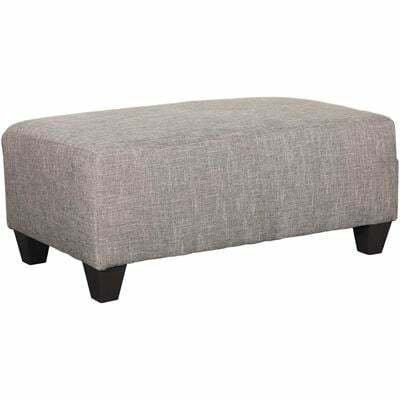 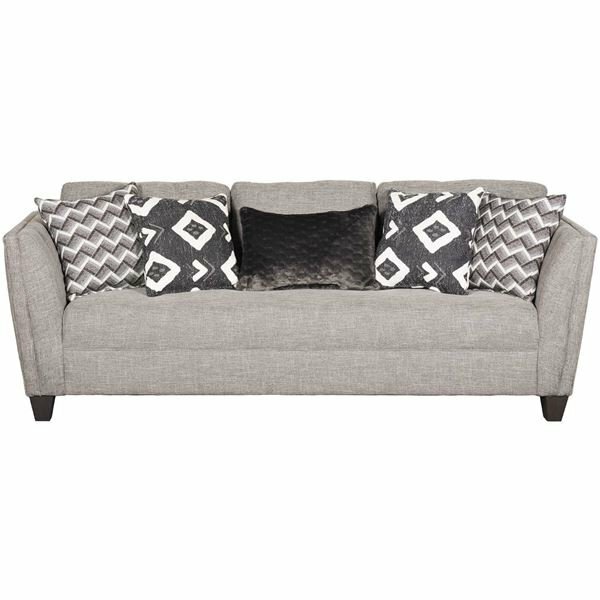 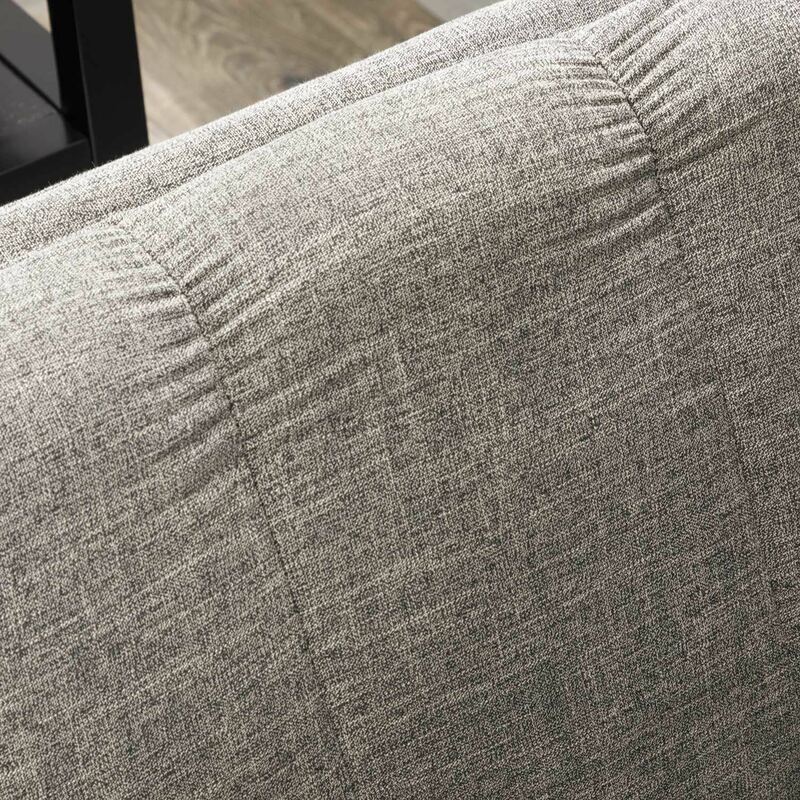 This sofa has a clean-lined silhouette accented by slim flared arms with subtle channel details, block feet, and gray fabric upholstery. 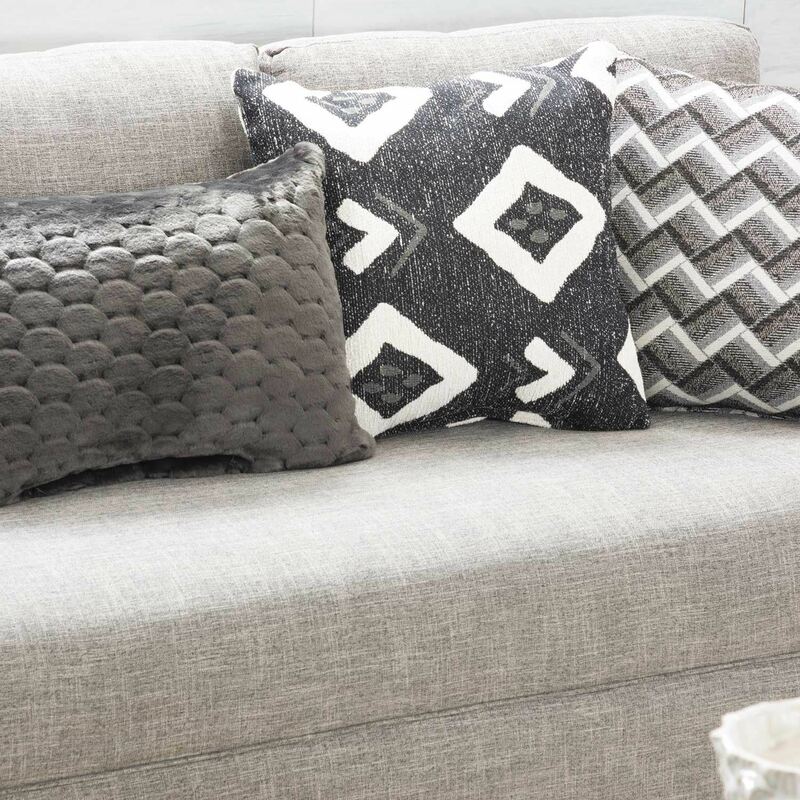 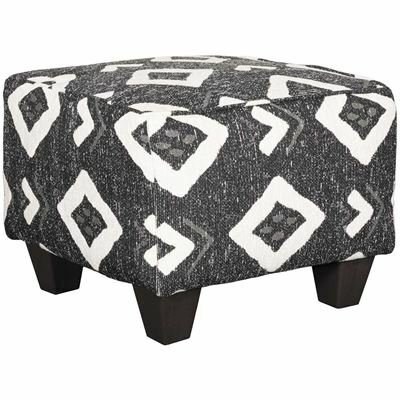 Five accent pillows in shades of grey and white provide plenty of pattern and texture to complete the look. 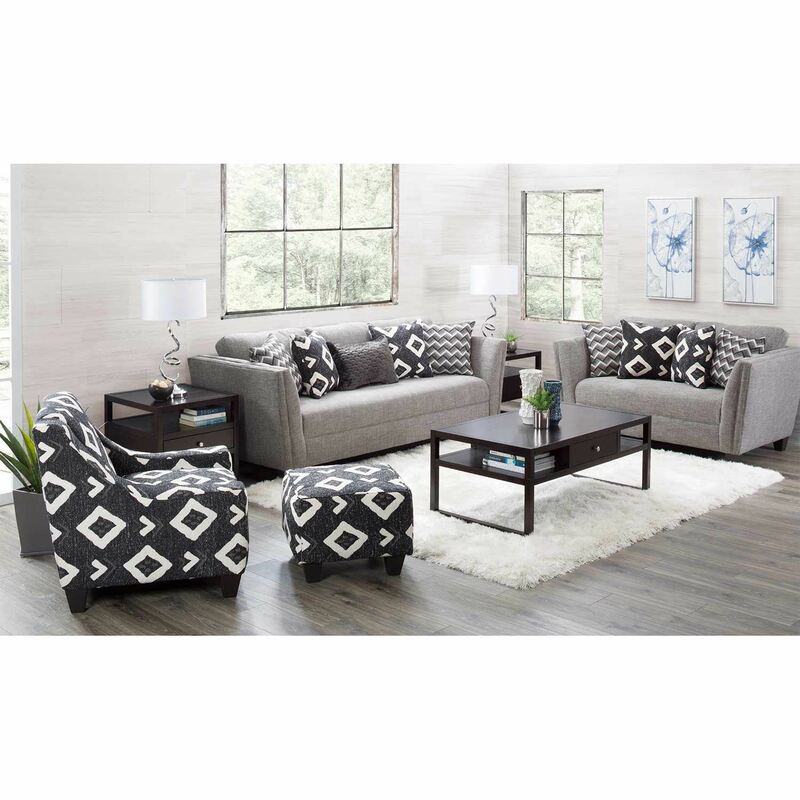 Enjoy laid-back luxe style with the Amelia Sofa by Corinthian Fine Furniture. 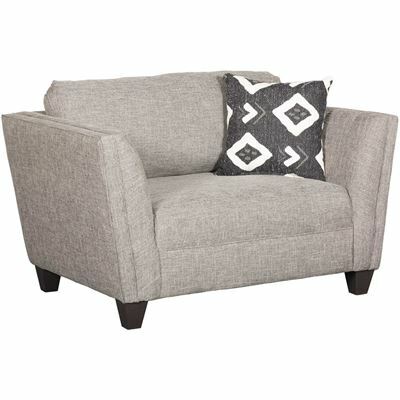 Amelia Sofa from Corinthian Fine Furniture. 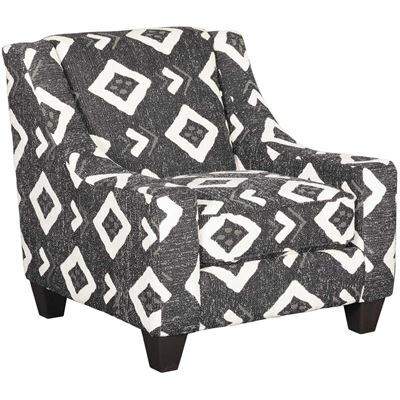 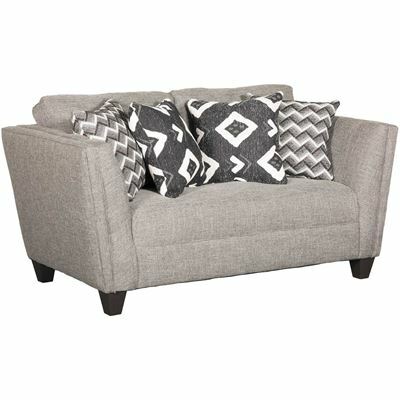 Couch is covered in dark gray 79% polyester, 21% rayon fabric. 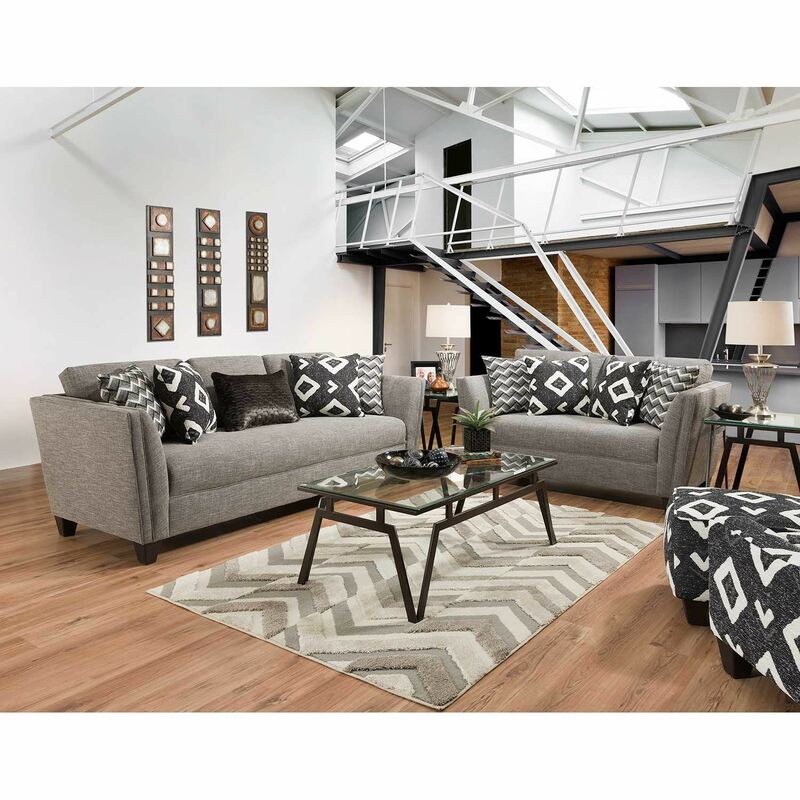 Includes 2 diamond pillows, 2 zigzag pillows and 1 kidney pillow, not sold separately.